The World Series begins Tuesday night in Boston, and oddsmakers out in Las Vegas feel the Boston Red Sox have the best chance of winning the best-of-seven series against the Los Angeles Dodgers. 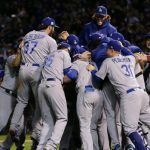 Los Angeles reached the Fall Classic in dramatic fashion, as the National League pennant winners went all seven in their NL Championship Series against the Milwaukee Brewers. Meanwhile, the Red Sox, which had the best regular season record in MLB at 108-54, easily took care of the defending World Series champion Houston Astros in the ALCS in five games. With the best regular season record, Boston has home field advantage for the World Series. The Westgate SuperBook has the Red Sox favored for the title series at -140 (5/7), or implied odds of 58.3 percent. Bettors would net $71.43 for every $100 wagered on those odds. The Dodgers are the slight underdogs prior to the first pitch at +120 (6/5). That line equates to implied odds of 45.5 percent. The Los Angeles Dodgers are back in the World Series for the second consecutive year. The 104-win club fell just one win short of winning the Fall Classic 12 months ago. It’s been 30 years since the Dodgers last won the World Series. 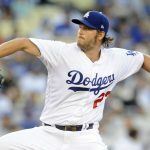 Led by seven-time MLB All-Star and three-time Cy Young Award winner Clayton Kershaw, Los Angeles has a tall task ahead should the team find a way to upset the Red Sox. Boston ended its 86-year World Series drought in 2004, and has since won two additional titles (2007, 2013). But 2018 would still be a record-setting year should the Red Sox go on to win the Commissioner’s Trophy. 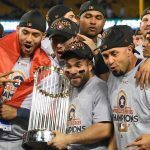 According to ESPN, just five teams since the expansion era have won at least 108 games in the regular season and have gone on to win the World Series. The last time it was done came in 1998 when the New York Yankees won it all. Looking to place a wager on Boston or Los Angeles? Depending on which team you fancy will determine which sportsbook you should patronize. Dodgers backers can find slightly better odds for their money at online sportsbook Bovada. The internet site has the underdogs a bit further at +135, which would net $135 for every $100 wagered, or $15 more than at the Westgate SuperBook. William Hill opened its World Series odds with the Red Sox at -130. That would net $76.92 for every $100 gambled. As for the World Series MVP, Bovada has Boston pitcher Chris Sale as the favorite at +550. Teammate outfielder Mookie Betts is next at +600, followed by Kershaw and Red Sox’s JD Martinez at +700. Online prop bets are also available, and a Dodgers sweep is the longest exact series outcome at +1500. A Red Sox 4-0 victory is at +1000. The likeliest World Series outcome is a Boston 4-2 win, with those odds at +325.